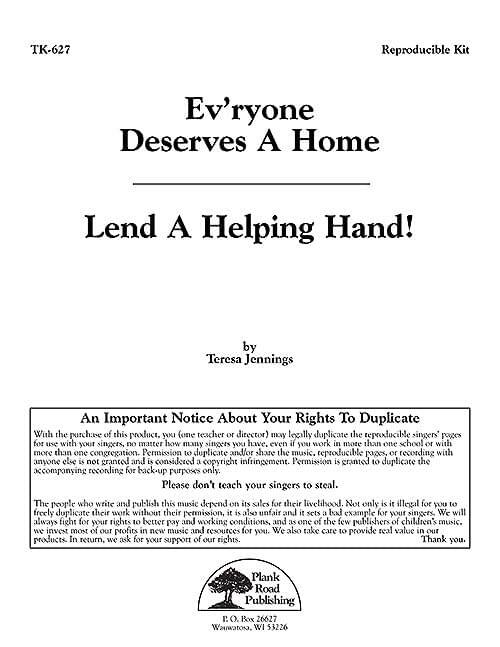 Product Detail: Ev'ryone Deserves A Home / Lend A Helping Hand! With Ev'ryone Deserves A Home, the lesson is simple: "Everyone deserves a home, everyone deserves a place to belong." Once your children and their families have experienced this song, they won't look at homelessness the same. Because we want all teachers and students to have access to these two pieces, we are offering the downloadable version at no cost.